My big sister Janet has always been like a mom to me (even thought she LOOKS younger than me), so when “Mother’s Day” rolls around, I make sure we do something special together, usually a family lunch out. This year, only two of her kids (the twins, 13) were available during the day. 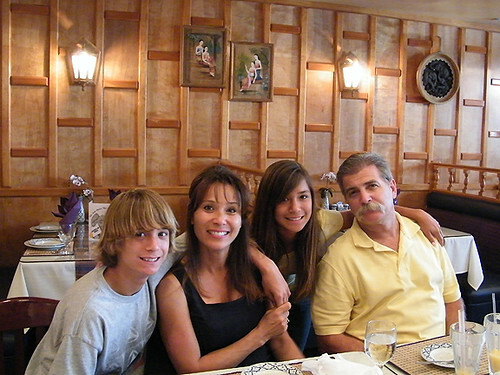 Cody (20) was away training at L.A. Firefighter Explorers, and Camron (22) was working. Thankfully, Janet’s husband Paul had the day off from the fire-station, so I made a reservation for a 1pm lunch. 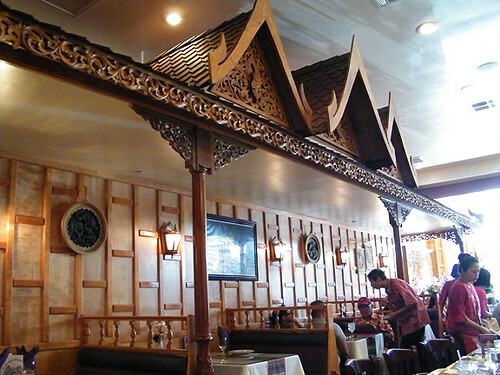 Lucky Elephant Thai Restaurant is one of Janet’s favorites, located just five minutes from her home in San Dimas. She told me how much she loves the decor and food, but doesn’t get to go very often. 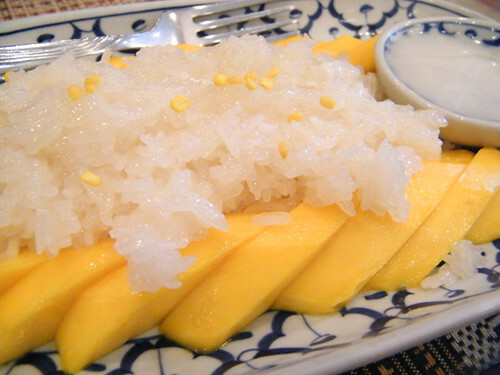 The simple fact is, the Thai cuisine is a bit too “authentic” for most of the family. Kindal and her big brother Cody are the most adventurous eaters, and I can usually get them to try anything. But Chace, Camron and their dad Paul are a little more reserved, apt to order an identifiable beef or chicken entree, instead of some extremely ethnic sounding dish. The lovely interior. Such a pleasant surprise walking in from the mini-mall parking lot! 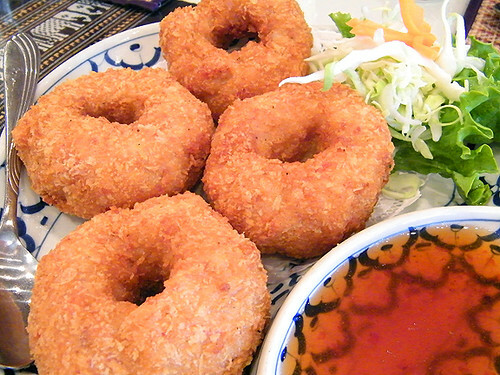 Shrimp DONUTS (shrimp balls shaped like donuts), with a sweet sauce. Hormok Kanom Krok (Salmon balls, steamed with red curry and coconut milk). Janet and I LOVED the salmon balls. 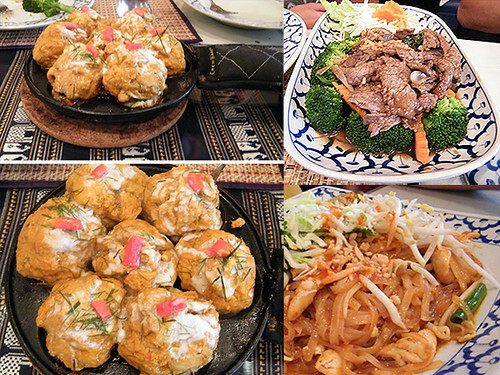 Also in photo: Beef with Garlic and Black Pepper, Classic Pad Thai with Chicken. 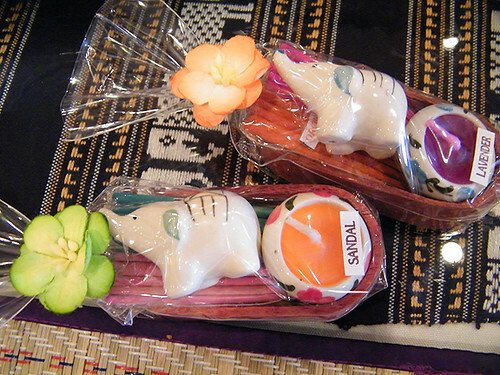 Adorable, authentic Thai gifts for sale near the front of the restaurant. The website is fantastic fun! 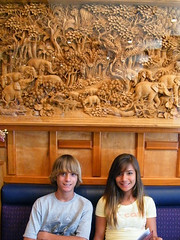 I Love Lucky Elephant restaurant I don’t get to go for the same reason. Since it’s only few minutes away from both of us, I need to arrange to go to lunch with her. Ha! Well, I have to say… my nephew Chace (13 years old) is one to AT LEAST “try it once” even when we had dinner at Michael Mina in San Francisco. Both the twins (his sister Kindal will eat anything) fell in love with truffle popcorn, but weren’t too fond of foie gras. Great restaurant. 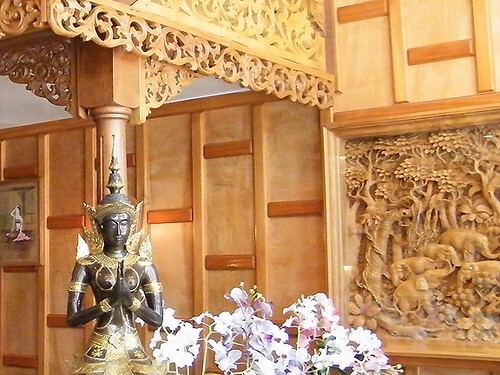 Love that you ventured into the SGV, do not see that too often on foodie blogs. 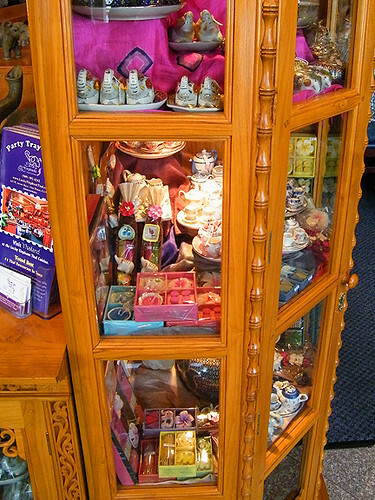 Their service is amazing and have always enjoyed everything I have ordered.